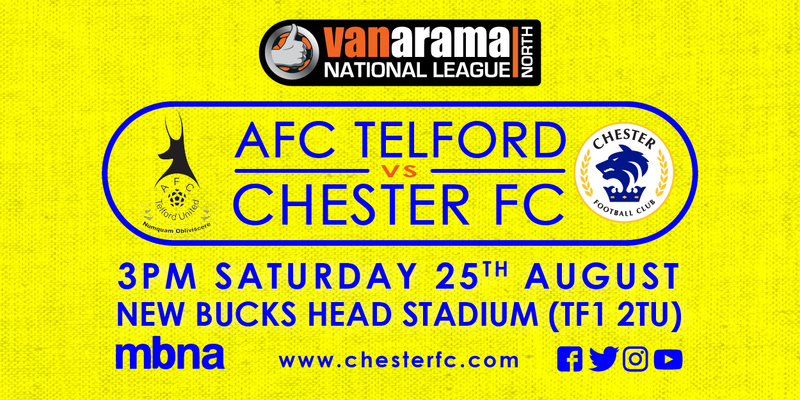 Chester FC suffered a difficult trip to the New Bucks Head, as they were handed a three-one defeat by AFC Telford United. 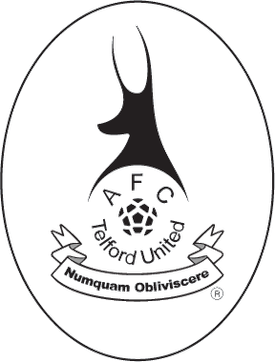 Goals from James McQuilkin, Amari Morgan-Smith and Daniel Udoh fired the hosts into a three goal cushion, before Simon Grand got a consolation for the Blues. Chester made three changes for their first match since the heavy defeat at Blyth two weeks ago. Scott Burton, Matty Waters and Craig Mahon all came into the team, replacing Dan Mooney, Steve Howson and the suspended Gary Roberts. The Blues started the game brightly, with John Pritchard getting a chance with a couple of free kicks on the right side, but he was unable to work Max Bramley with either of them. Telford looked dangerous, and twice were almost in with flick-ons from striker partners Udoh and Morgan-Smith, but the Blues defence dealt with it. After a quarter of an hour the hosts went ahead, Grant Shenton’s clearance was blocked, resulting in a foot-race with Morgan-Smith, the striker got there first but was denied by the Blues stoppers feet, Shenton then made another fine save before James McQuilkin converted, going in off the post from the penalty spot. Almost identically to the Blyth defeat, Chester conceded four minutes later, this time Amari Morgan-Smith turned his defender in the Blues area and slotted coolly under Grant Shenton. With Chester struggling to get much going in the final third, it was Telford who almost extended their lead as Morgan-Smith again showed great strength in the Chester penalty area, before turning, with Grand forced into making a good block. Craig Mahon was trying to create something from the Blues, exchanging passes with Dominic Smalley and Gary Stopforth, before crossing to find Anthony Dudley, but the on-loan Salford striker couldn’t get his header on target. Morgan-Smith remained a thorn in the side of the Chester defence though, and the Telford number nine again held the ball up well before shooting on the turn, narrowly missing Grant Shenton’s goal. With five minutes to go until half time, Chester created their best move of the half, strong running from Gary Stopforth forced three Telford defenders to commit, which allowed Pritchard to get in behind, he cut it back to Mahon but the Irishman’s effort went the wrong side of the post. The last chance of the half would fall to Telford though as winger Darryl Knights controlled a bouncing ball well before striking ferociously off target. After being sent out from the half-time break a few minutes early, the Blues looked much better in the second half, but struggled to create clear-cut chances. With the game far more competitive it took until the 68th minute for the first real chance of the half, with Udoh beating two men before playing in McQuilkin, his effort was blocked and fell nicely to Darryl Knights, but he couldn’t control his effort. Chester had a chance to get one back, when Pritchard’s free kick met Moran’s head but Bramley did enough to turn it behind for a corner. From the resultant corner Bramley flapped and Grand saw his effort blocked, Telford countered and former Blues loanee Daniel Udoh finished well when one on one with Shenton to add the third. The Blues did manage to get one back, and it came through the same combination as at Curzon earlier in the season, John Pritchard’s corner was met by Simon Grand, and after much deliberation from the referee, he decided it had crossed the line. Chester pushed for a second as the game came into the final stages, and almost managed it as Bramley flapped at another corner, but the ball wouldn’t break to Grand at the back post. Telford again looked to strike on the counter, but Udoh’s effort was blocked by Waters. Chester: Shenton, Smalley, Pritchard, Burton (c), Livesey (Moran 46), Grand, Mahon (Thomson 65), Stopforth, Dudley, Hughes (Marsh-Hughes 65), Waters. Telford: Bramley, White, Morley, Deeney, Sutton (c), Streete, Cowans, McQuilkin (Dawson 72), Morgan-Smith (Brown ), Udoh, Knights. Subs: Royle, Wycherley, Smith, Brown. Goal Scorers: Chester: Grand (80). Telford: McQuilkin (15), Morgan-Smith (19), Udoh (76). 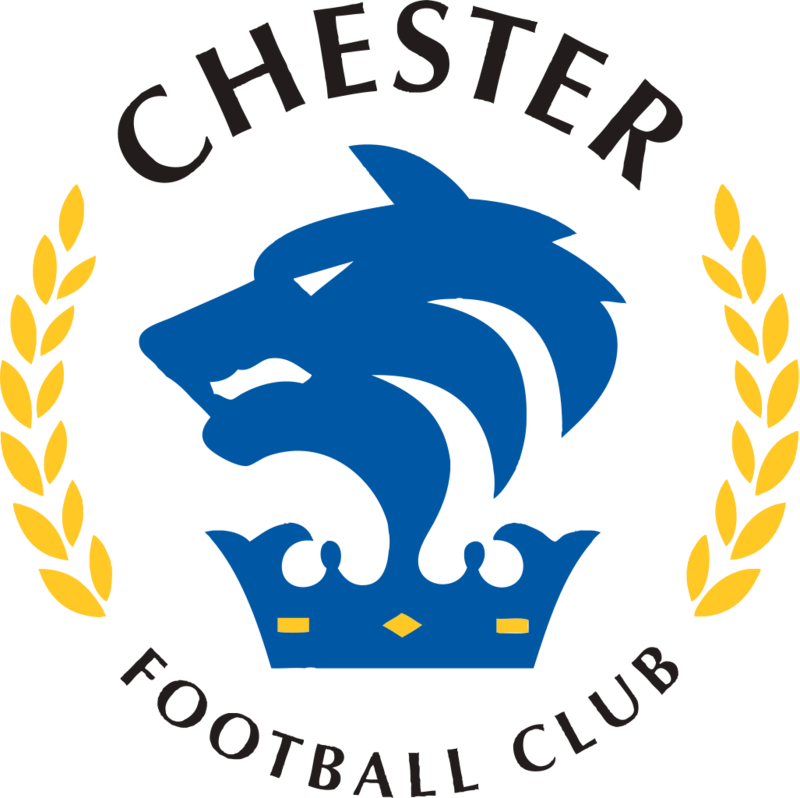 Yellow Cards: Chester: Livesey, Hughes, Smalley, Burton. Telford: Streete. Attendance: 1,886 (535 Chester fans).